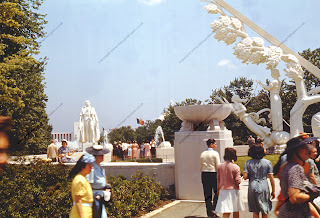 The 1939 World's Fair. Held at Flushing Meadows - Corona Park, which sounds idyllic but was actually the cleaned up Corona Ash Dump, New York's dumping ground for coal furnace ash, horse manure and garbage. This was the second biggest World's Fair ever held - only the 1904 St Louis Fair was bigger - and over the two seasons it was open 44 million people passed through the gates. The British Pavilion is seen in the image above. Visited in June by King George VI and Queen Elizabeth it held exhibits such as the Magna Carta, the first time that it had left Britain. with the outbreak of WW2 it was deemed safer to keep it in the USA and it was stored at Fort Knox until 1947 alongside the Declaration of Independence. The Fair celebrated the 150th anniversary of George Washington's first inauguration as President of the United States whilst looking forward to the future. 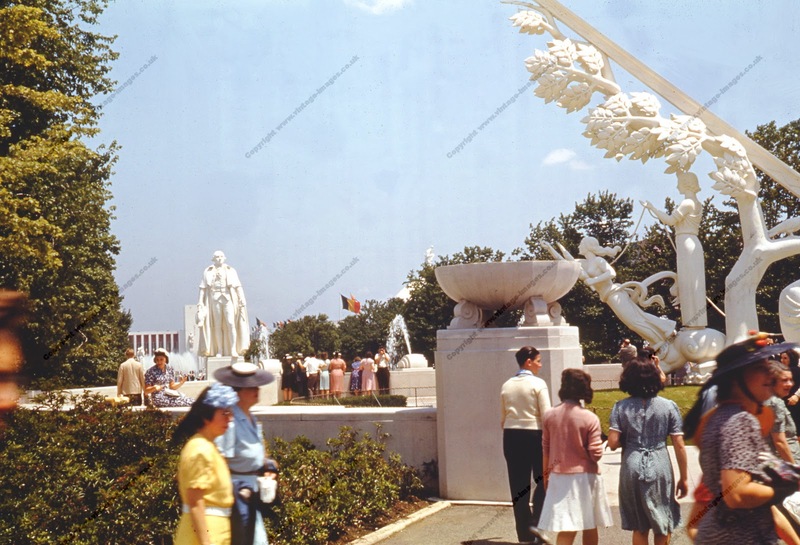 In the distance in the image above can be seen the sixty feet high statue of George Washington which stood facing the future in the shape of the two symbols of the fair, the Trylon and the Perisphere. 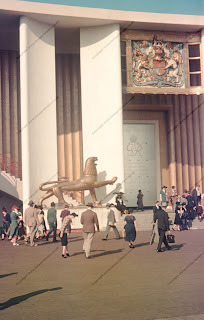 But this was a fair for the masses and colour photography which had been available since 1907 in the form of Autochrome plates was now easily available with the introduction only four years previously of the iconic Kodachrome slide film. 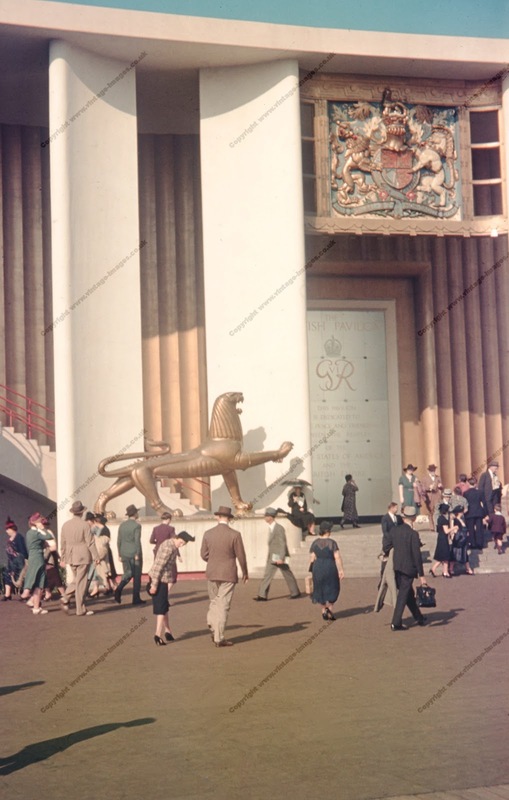 This was perhaps the first fair that the public photographed fairly extensively IN COLOUR. 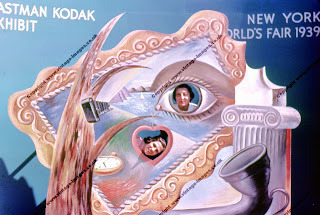 The Eastman Kodak exhibit had a background, painted by Salvador Dali, seen above and despite the perception today that colour photography was a product of the 1960s and 70s, colour photography was here to stay, even if prohibitively expensive - and that is why perhaps that it is seen as a recent invention. 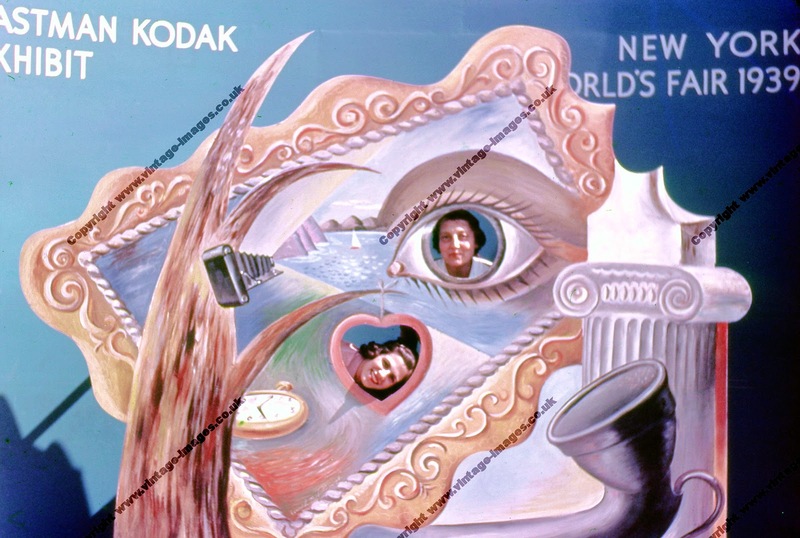 A roll of colour transparency film cost $5 - the equivalent of £50/$81 in today's currency! To put that into some context, the admission price for the Fair was 75 cents! !